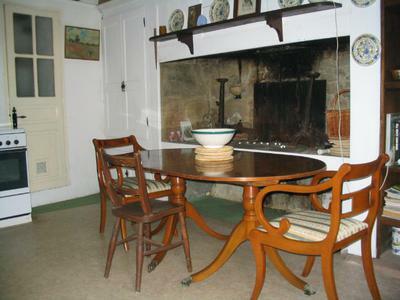 A simple charming little end of terrace cottage built in stone in 1824 and adapted for modern living. 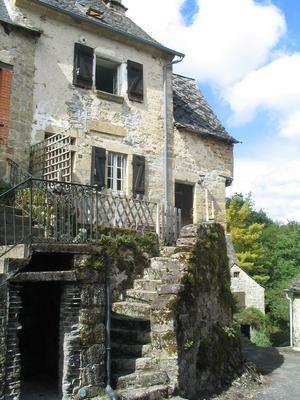 The accommodation is on 3 floors .Steps up to a small terrace with steep drop. Front door from the terrace if you are over 5'11'' beware. into Kitchen/diner 4.45 x 3.10 stone sink, cupboards. Large stone fireplace. Door to small laundry/wash room.3.10 x 1.12 hand basin & second shower. First floor Double bedroom 4.60 x 3.50 with Shower room 3.30 x 2.25 Shower cubicle & handbasin. Sep W/C. Stairs to the attic Sitting room.4.00 x 3.80 Beside the cottage with a door from the terrace is a workroom 5.50 x 2.80 ave with a back door allowing access to the back garden and to the lane on level ground without having to use the front steps. 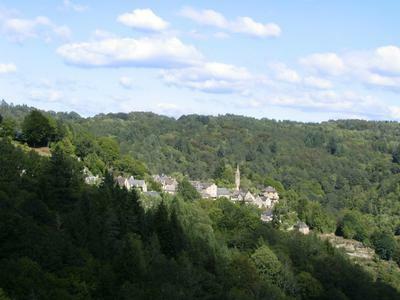 The countryside around La Roche Canillac is very beautiful and varied, mostly wooded on the steep valley sides and with lakes on the plateau. The river Doustre is a "premier 1" trout river and many of the lakes have quantities of trout, pike, perch and huge carp . 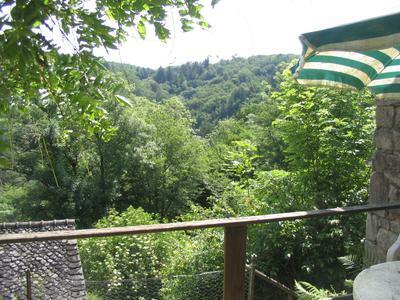 You can walk out of the cottage onto footpaths leading into the woods and down to the river. Jim Mallows. B.P. 38 19400 Argentat.